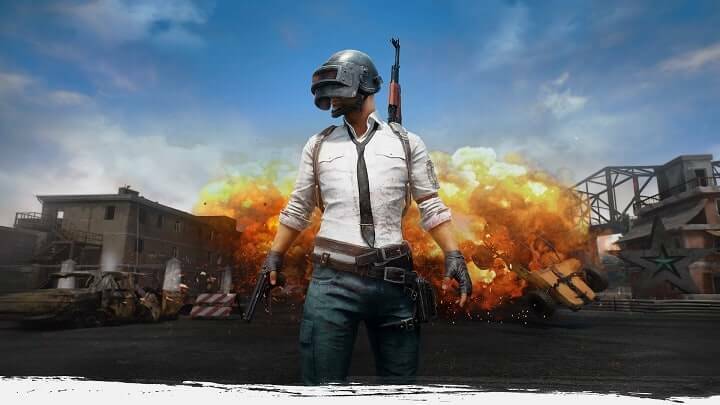 Just looking at its current ratings will give you a good idea about what’s going on with PUBG. Long story short, this is a great battle royale shooter with lots of issues and bugs. In the sea of issues plaguing gamers, the most frequent issue is a black screen which blocks even Windows 10 making reboot necessary. For the affected users, it appears either on launch or while waiting for the matchmaker queue. We made sure to provide you with everything we can possibly find on the subject, so check the troubleshooting steps below. The first thing, frequently recommended on various forums and support centers, is updating the game. The game was error-prone from the start, even though the final release promised more stable experience than the Early Access Beta. However, that’s not the case. Or at least, it isn’t the case for some users. Luckily, there are frequent updates and patches which should have been addressed this by now. So, make sure to update the game. Just open the Steam desktop client and the update queue will start. After that, restart your PC and try starting the game again. 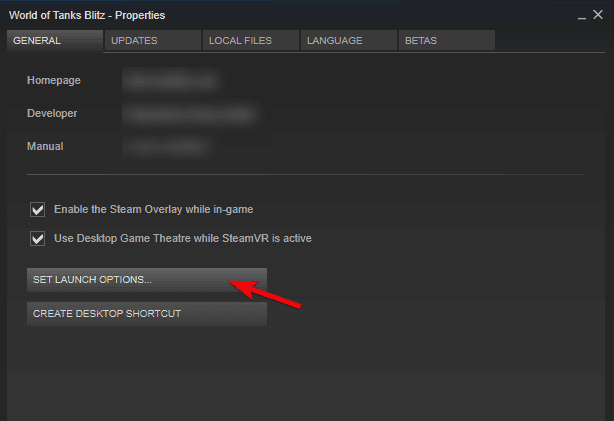 Even though you can run the game from the desktop shortcut, we still recommend using Steam. If you acquired PUBG via the Steam Store, we suggest using the desktop client to start it. For some peculiar reason, this seems to work for some users and the startup black screen or freezing on the title screen are gone. Right-click Steam and open Properties. Check the “Run this program as an administrator” box and confirm changes. If you’ve made any changes in the Steam configuration concerning the launch options, make sure to disable all of them. Some of them might work in your favor, but for the sake of establishing a blank slate, you’ll need to remove them for the time being. 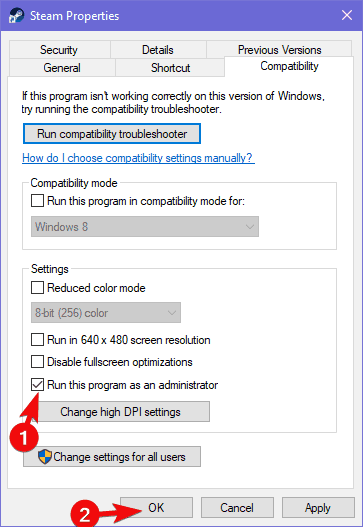 If you determine that these options aren’t influencing the black screen error in PUBG, you can restore them. Open Steam and then Library. Right-click on PUBG and open Properties. Choose “SET LAUNCH OPTIONS…” and delete all inputs. Confirm changes and restart Steam. The impact certain background application can have on the game was already proven. The thing is, we can say with certainty what exact application is causing the black screen (or at least affect it to some extent). So, we recommend performing a clean boot, with only system resources running in the background. That way, we can eliminate another possible reason for the occurrence of the black screen on launch. Press Ctrl + Shift + Esc to open Task Manager. Disable all applications from the list to prevent them from starting with the system. In a addition, some users advised uninstallation of GeForce Experience utility. When it comes to in-game issues and Windows 10, we can’t sleep on the GPU drivers. It becomes a state of art to find the perfectly suited drivers for your GPU, even for premium graphics cards. Windows 10 pushes generic drivers and more times than not they work as intended. But, we still recommend navigating to the official OEM’s support site and downloading the latest driver version. If one fails, try installing an alternative. 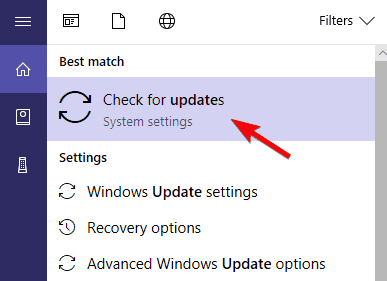 After that, you can block the installation of generic drivers provided by Windows Update. Also, we recommend installing redistributables and updating DirectX. Restoring the game configuration to its default settings might help, as well. Some users copied the configuration files from other users who haven’t experienced crashes. This will hardly work since it’s not likely that you have the same system configuration as the next user. Rather, what you’ll need to do it delete the configuration settings and configure everything again in the in-game settings. Copy-paste %localappdata% in Windows Search and press Enter. Choose the “LOCAL FILES” tab. Click on the “VERIFY THE INTEGRITY OF GAME FILES” option. Windows 10 updates are rarely the cause of the gaming issues, especially the minor ones. However, having the latest patch for Windows might be valuable. Users reported issues with Ryzen CPUs and the resolution was presented in a timely update. So, make sure to check for updates manually before moving to next steps. Type Update in the Windows Search bar and select Check for updates. Check for updates and install them. Allowing the game to communicate freely is of utmost importance. Saying that this is the main reason for the black screen is a far-fetched claim, but it won’t cost you anything to give it a try. Firstly, if you have any third-party antivirus solution with the built-in firewall, we urge you to disable it. 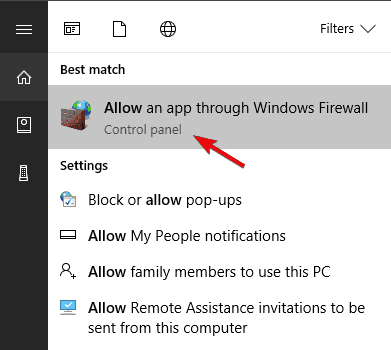 After that, you can add an exception for Windows-native Firewall. Find your Steam and PUBG on the list and check the box beside them. Also, make sure that both Public and Private networks are enabled. In case you have a dual-GPU configuration, with one integrated and one dedicated graphics card, disabling the integrated one might help you overcome the error at hand. This can be done in various ways, but the best approach would be to disable integrated GPU from its own control panel. Some users recommended uninstalling it in Device Manager, but this can cause additional issues, so avoiding this approach is a good idea. Instead, navigate to Device Manager, expand the Display Adapters section, and disable the integrated graphics. Restart your PC and you should be good to go. Making sure that your connection is on point is also important. However, since these crashes started occurring suddenly, we are positive that your connection is, indeed, properly configured. Nonetheless, there are some things you can try to change in router/modem settings which might help you at least lessen the black screen crashes at startup. The first is QoS or Quality of Service which allows users to set priority applications in bandwidth usage. Setting PUBG as a priority might reduce the gravity of the issue. The second thing you might want to check is port forwarding, but that demands more effort, as we the procedure differs depending on your router/modem model or version. Finally, the only thing which comes to mind is reinstalling the PUBG on your PC. If the game, as the case has shown, worked just fine and then suddenly a black screen on launch started appearing, the reinstallation might be a resolution. 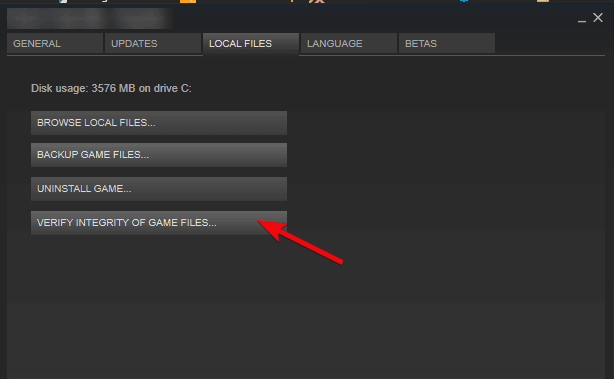 You can use Steam to reinstall the game with ease, but we suggest clearing all remaining associated files. READ ALSO: How can I pin Steam games to Windows 10, 8.1 start screen? 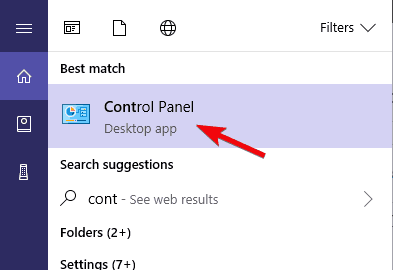 Type control in the Windows Search bar and open Control Panel. In Windows Search, type %localappdata% and press Enter. Now, navigate to C:Program Files (x86)Common FilesBattlEye and delete the BEService_pubg.exe executable. Open Steam and reinstall PUBG. On that note, we can wrap it up. Tell us whether the aforementioned steps helped you in the comments section below.